Does this mean I have to watch it again? I’m pleased to present the first of what will be an occasional but I hope long-running series of pieces by others. This detailed and thoughtful look at The Seventh is by regular commenter Walkerp, who blogs about books at Olman’s Fifty and about life at Briques du Neige under his nom de blog Olman Feelyus. It originally appeared at Olman’s Fifty. We’re developing a little tradition here where my wife buys me some of the new University of Chicago Parker books each year on my birthday in January and I read them slowly throughout the year. 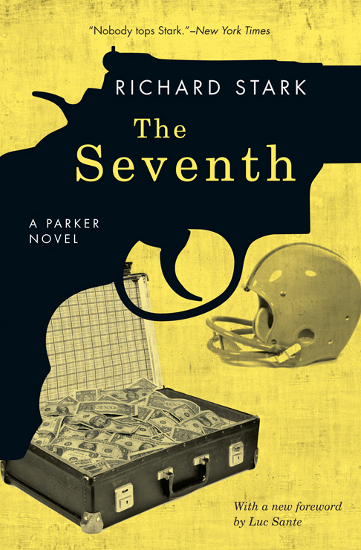 I’d already read the entire series at least twice before the U of C books were released, but this is a dedicated, focused reading in the wake of Westlake’s death and with the full consciousness that the Parker series is a literary classic. It’s been great. I don’t know if I’ve changed but the re-reading of each novel this time around has come as a real surprise to me. Things I’d forgotten are exciting to rediscover and things I had never noticed before are popping up now. I’m getting both the pleasure of rereading a great book and the pleasure of discovering something new.